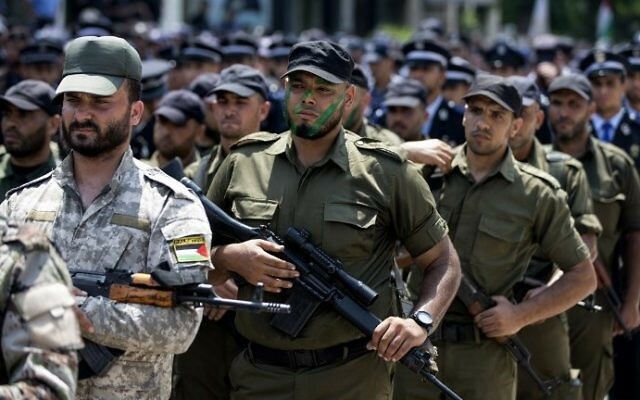 Egypt has warned Hamas that Israel will seek to assassinate the terror group’s leaders if rocket fire from the Gaza Strip does not cease, according to an Israeli television report on Thursday. 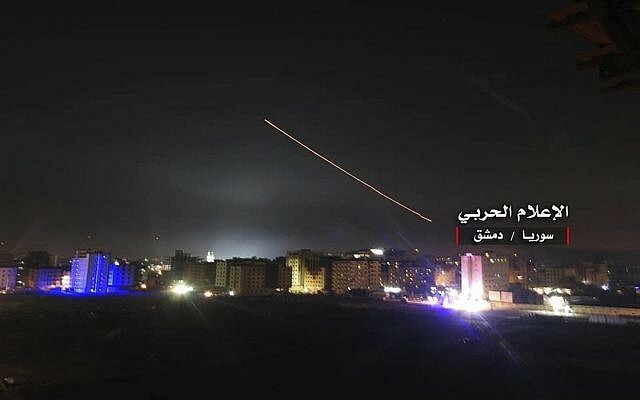 Egyptian intelligence cautioned Hamas that Israel could renew targeted killings if the terror group further exacerbates tensions on the Gaza Strip border, Hadashot television news said. 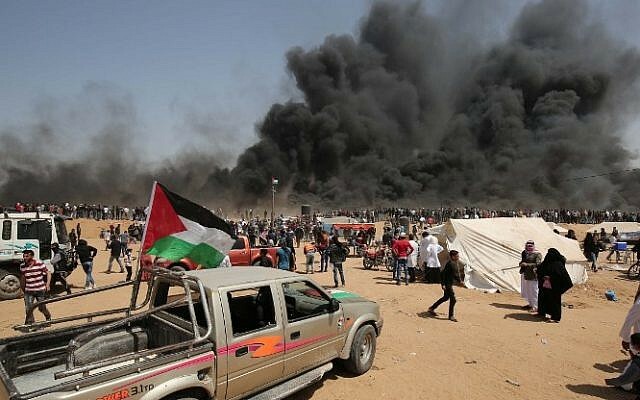 Previous media reports in recent months have indicated that Israel conveyed similar threats to Gaza rulers Hamas through Egyptian channels during periods of increased violence on the border. Separately, Israel Radio on Thursday night quoted Hamas officials as saying political and military leaders from the terrorist group have turned off their cellphones over the last day and went into hiding for fear of being assassinated. 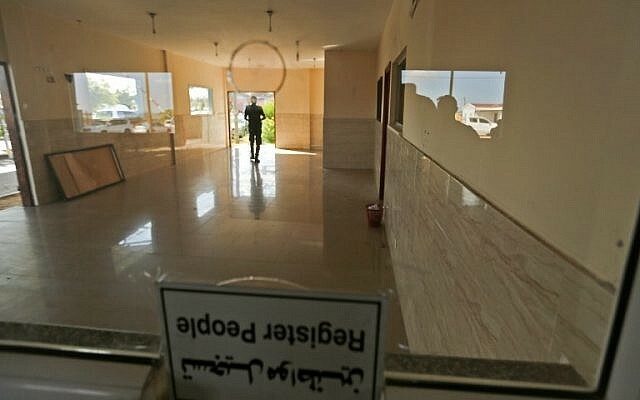 Hamas leaders were also signaling they were not responsible for a rocket attack targeting the southern city of Beersheba earlier on Thursday, Hadashot reported, in an apparent attempt to defuse the tensions. 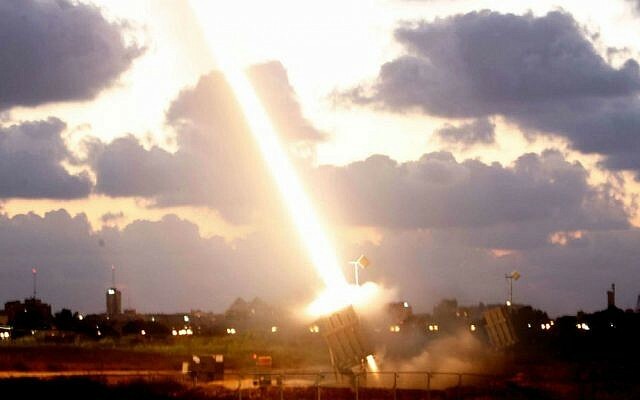 The reported Egyptian warning to Hamas came amid a major flare-up in tensions on the Gaza border, with over 180 rockets and mortar shells fired at southern Israel since Wednesday night. The projectiles injured at least seven people and caused damage to homes, businesses, and infrastructure throughout the region, according to the Israel Defense Forces. The Hamas-run health ministry named the woman as Aynas Abu Khamash, 23, and her daughter, 18-months-old, as Bayan. 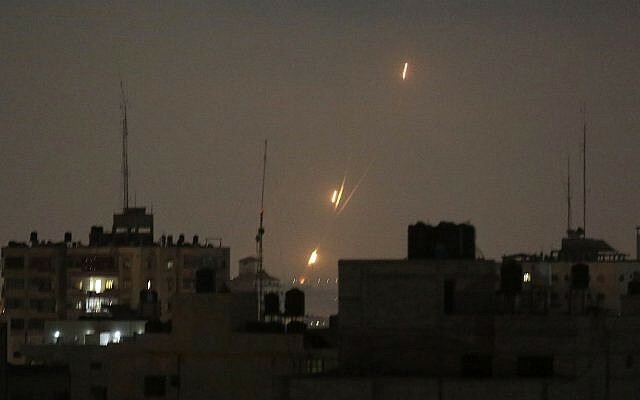 According to Ashraf al-Qidra, a spokesman for the ministry, they were killed in an Israeli strike on the central Gaza Strip early Thursday morning. Mohammed Abu Khamash, Aynas’s husband, was seriously injured in the strike, he said. Lt. Col. Jonathan Conricus, a spokesman for the IDF, said he could not comment on the specific case of the Abu Khamash family, but stressed that the army targeted “only military sites” in its raids. On Thursday evening, the Israeli Air Force flattened a five-story building in northern Gaza that served as a headquarters for Hamas’ internal security service, the army said. The attack on the building was one of the IDF’s first strikes on a site deep inside a city in Gaza since the 2014 war. Most of the strikes previously conducted by Israel targeted facilities outside major population centers. 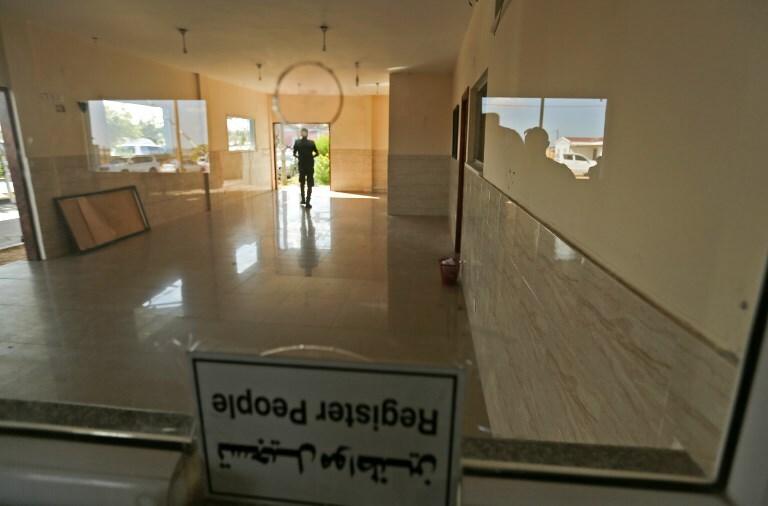 In addition, the Rimal neighborhood in which the building was located is one of the more upscale areas of Gaza City. 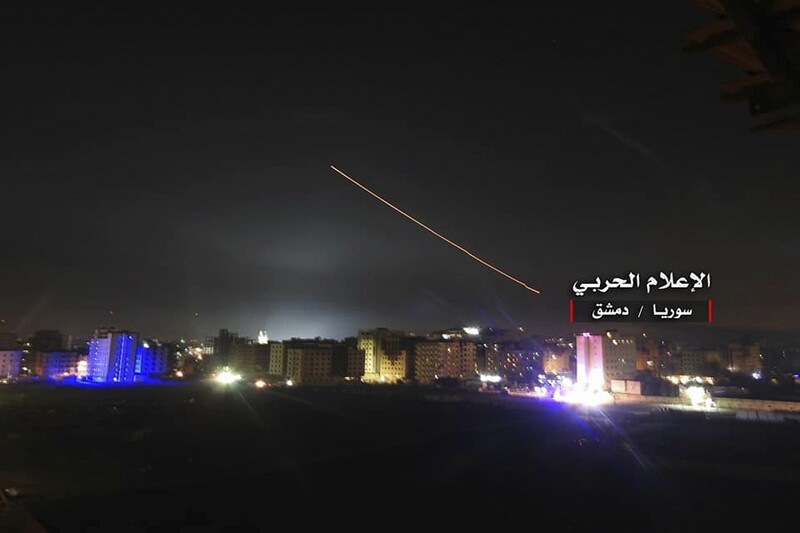 A second wave of sirens were triggered shortly after the IDF confirmed that it had conducted the strike at 8:00 p.m. A third round of sirens went off an hour later. 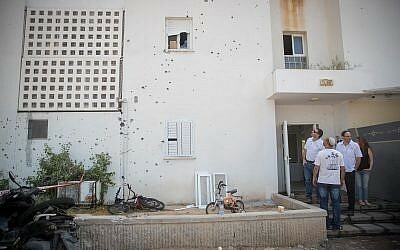 There were no injuries or damage caused by any of those rocket attacks, Israeli officials said. Israel has been making clear of late that it operates freely in Syria against Iran’s Islamic Revolutionary Guard Corps there; it may well be that there are those in Tehran who want to counter that via the Gaza Strip, or at least to stir up Israel’s southern border and therefore distract Israel’s attention from the north. Where does Hamas, the terror group that rules Gaza, fit into this? 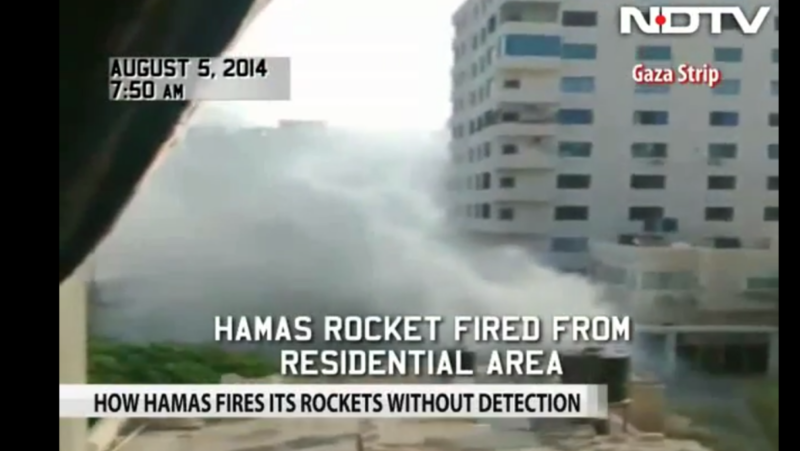 Hamas was quick to welcome the barrages fired at Israel. And the IDF has also targeted several Hamas facilities. Yet the fact remains that Hamas’s activities in recent months indicate that it is not particularly interested in an escalation, and Israel recognizes this. Hamas has put the brakes on a potential deterioration into all-out conflict more than once of late, even after its forces were hit. The most obvious recent example of this was on May 14, the day the US inaugurated its embassy in Jerusalem, Nakba Day, when more than 60 Gazans were killed in violent clashes with Israel at the Gaza border. Hamas later acknowledged that almost all of the fatalities were its members. Yet it ordered the dispersal of the protests at the border that evening, to avoid a potential descent into war. 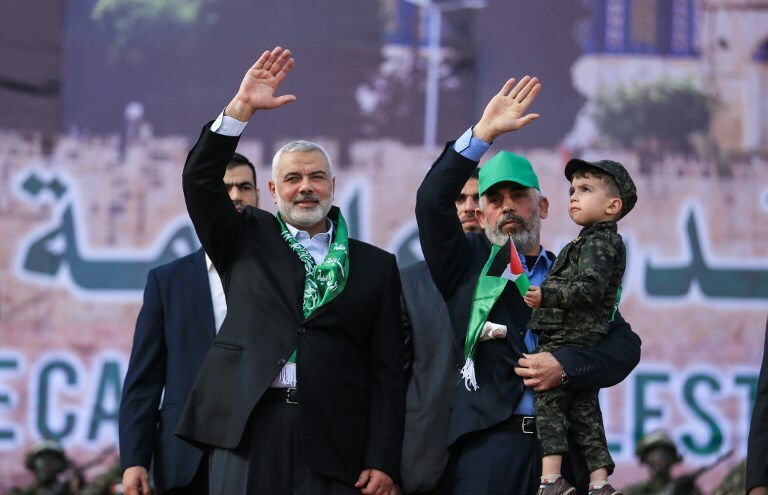 Hamas leaders Yahya Sinwar and Ismael Haniyeh have been engaged in various secretive contacts of late — intermittently involving Egypt and, separately Qatar — intended to yield understandings for a long-term Hamas-Israel ceasefire. Evidently, however, there are other players — Islamic Jihad and Iran — who want to heat things up. 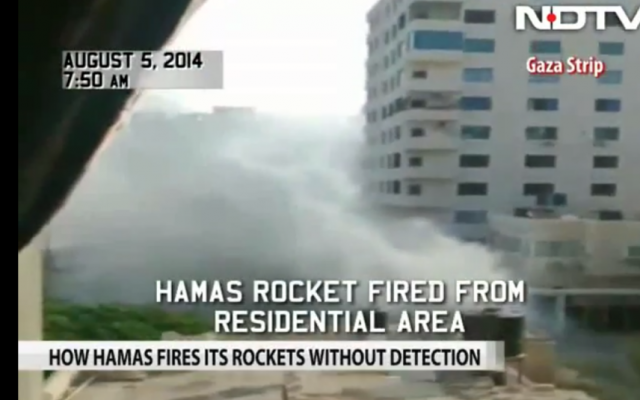 Islamic Jihad’s attacks on Israel are also embarrassing Hamas in the eyes of the Gaza public. 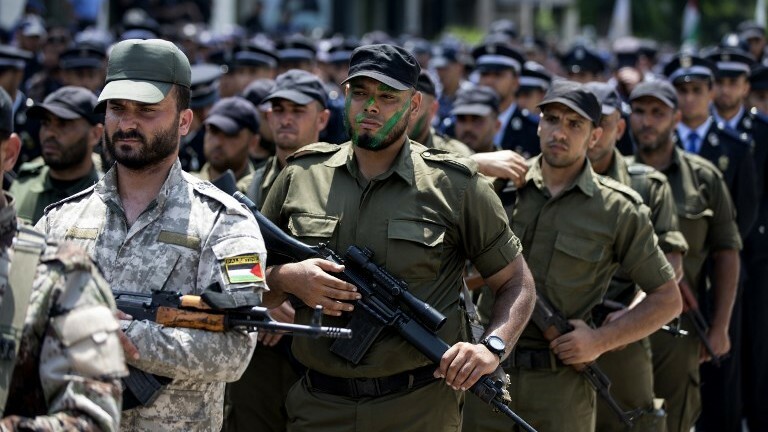 Hamas knows that if its forces do not prevent a continuation of Islamic Jihad fire — whether through the use of force, or threats, or both — there is a considerable likelihood that Gaza will once again find itself at war with Israel. 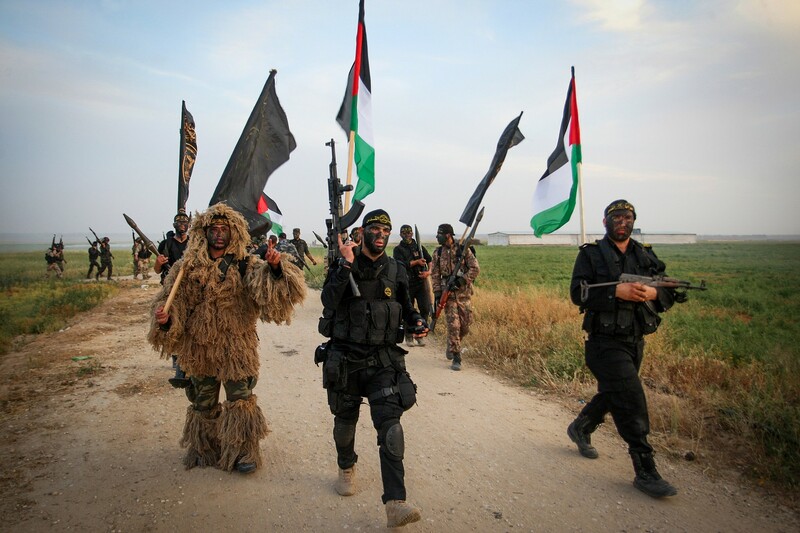 But if Hamas does intervene against Islamic Jihad, its image as the “resistance” against Israel will be undermined. It would risk becoming perceived as another kind of “Palestinian Authority,” collaborating with the Zionist enemy in return for quiet and/or economic benefit. 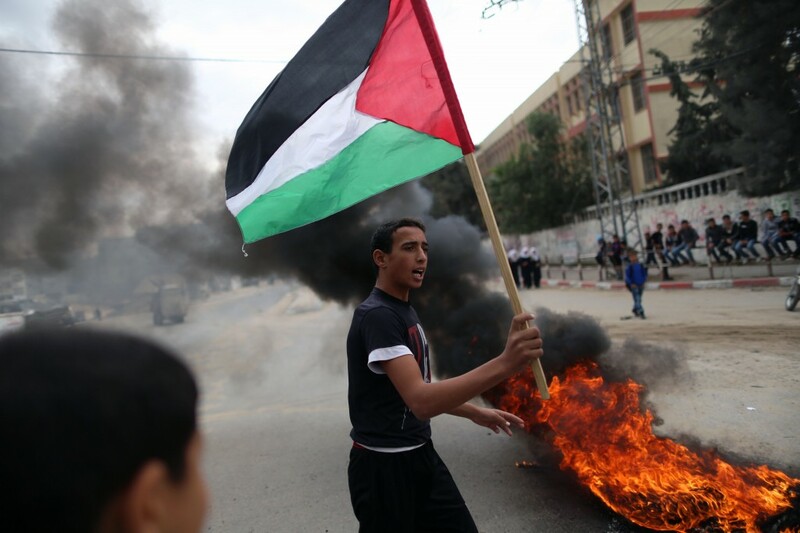 Sinwar said he hoped Israel would not shoot at what he called “peaceful” protests. Hamas, an Islamist terror group, seeks to destroy Israel. The Hamas-led demonstrations are ostensibly aimed to protest the decade-long Israeli-Egyptian blockade, imposed after the terror group seized power in Gaza in 2007, and to assert Palestinian demands for millions to “return” to lost properties in what is now Israel. Israel says, however, that the terror group uses the protests as a cover for attacks at the border and attempts to breach it. Monday’s demonstration will cap six weeks of protests and coincides with the US move of its Israel embassy to Jerusalem and the date when Palestinians mark 70 years of “displacement.” Two-thirds of Gaza’s 2 million people are descendants of Palestinians who fled or were expelled from their homes during the war surrounding Israel’s establishment. Hamas acknowledged that five of its terrorists were among the fatalities after the first Friday demonstration, but has since refrained from acknowledging whether its men are among the dead. Israel has identified other fatalities as members of terrorist groups. But he warned the protests risked spiraling out of control. “The Gaza Strip is like a hungry tiger that has been starved and left in a cage for 11 years,” Sinwar said. On Wednesday, Sinwar said the mass protest will be “decisive,” vowing that he and other top officials were “ready to die” in a campaign to end Israel’s decade-old blockade of the territory. Israel maintains the blockade to prevent Hamas, a terror group that seeks to destroy Israel, from importing weaponry. In a speech to hundreds of Gazan youths, he said Hamas has rejected international proposals to stop the weekly, often violent gatherings. “We can’t stop these protests. We are supporting, even leading, them,” he said. The protests will be “like a tiger running in all directions,” he said. 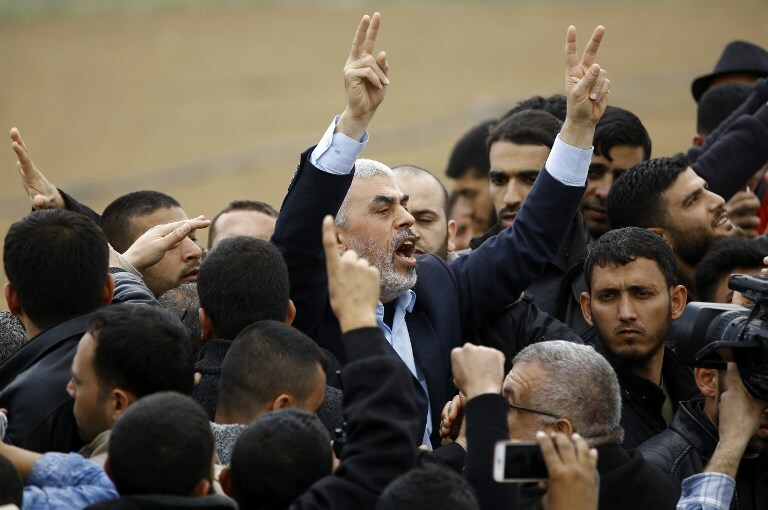 Going further, he said Hamas leaders “are ready to die along with tens of thousands” as the marches climax next week. Israel says Hamas uses the marches as cover for terrorist attacks. Activists have been burning tires along the fence, throwing stones at Israeli troops, and flying incendiary kites over dry fields on the Israeli side of the border in recent Fridays. Some of the youths brandished wire cutters, a popular tool in weekly attempts to cut through the border fence. An Islamist terror group which seeks to destroy Israel, Hamas violently took control of Gaza from Mahmoud Abbas’s Fatah in 2007, two years after Israel withdrew its military and civilian presence from the Strip. Israel and Egypt maintain a security blockade of Gaza. 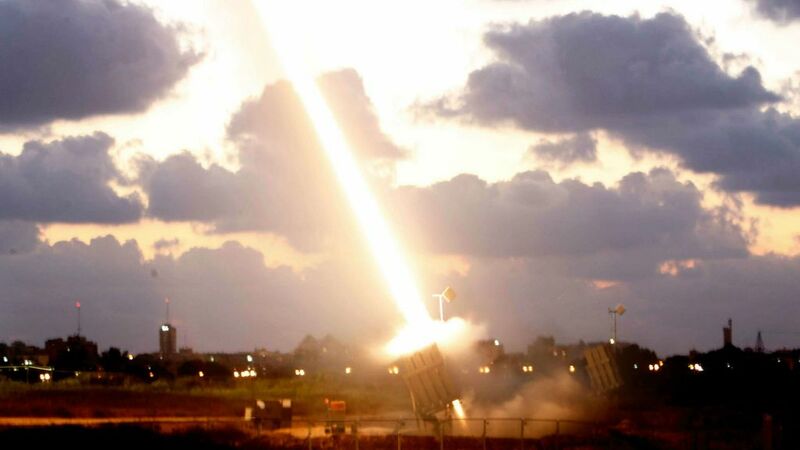 Israel says this is vital to prevent Hamas — which has fought three rounds of conflict against Israel since seizing Gaza, firing thousands of rockets into Israel and digging dozens of attack tunnels under the border — from importing weaponry. The Israeli military has faced international and domestic criticism over its use of live fire, with the United Nations and European Union calling for an independent investigation rejected by Israel. 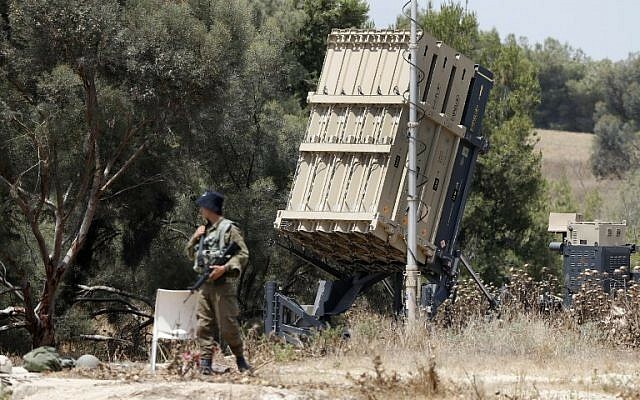 Israel has repeatedly expressed concern over the possibility of a mass breach of the Gaza fence, in which Palestinians would stream across with terrorists among them, wreaking havoc. Sinwar has vowed in the past that protesters would “breach the borders and pray at Al-Aqsa,” referring to the major Muslim shrine in Jerusalem. Sinwar was freed in a prisoner swap with Israel in 2011 and was elected as the movement’s Gaza chief in 2017. 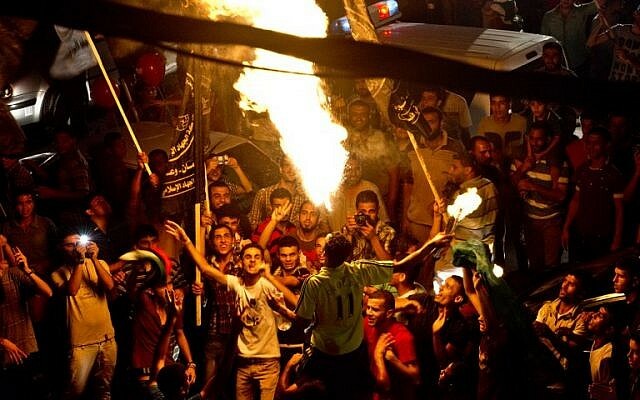 Hamas has said if the protests “don’t achieve their goals,” they will continue. At previous peace talks, the Palestinians have always demanded, along with sovereignty in the West Bank, Gaza, East Jerusalem, and the Old City, a “right of return” to Israel for Palestinian refugees who left or were forced out of Israel when it was established. The Palestinians demand this right not only for those of the hundreds of thousands of refugees who are still alive — a figure estimated in the low tens of thousands — but also for their descendants, who number in the millions. He said the world should “wait for our great move, when we breach the borders and pray at Al-Aqsa,” referring to the major Muslim shrine in Jerusalem. 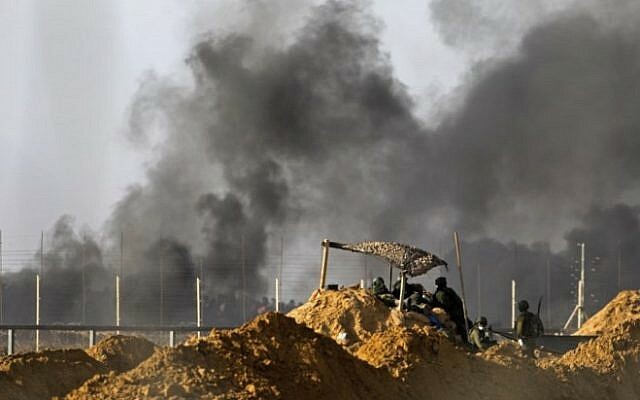 Hamas said four Gazans were killed by Israeli fire as of 7 p.m. 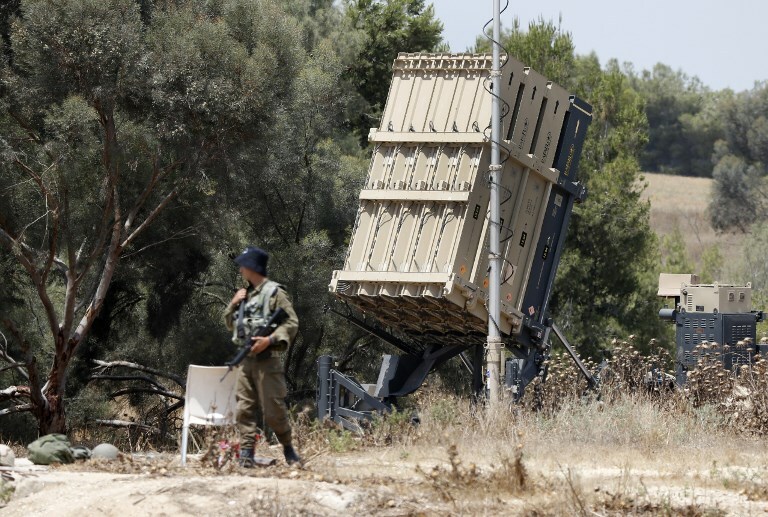 The IDF said it thwarted multiple efforts to breach the border fence — and that it used live fire to do so in some instances — as well as attempts to activate bombs against the troops under the cover of smoke. 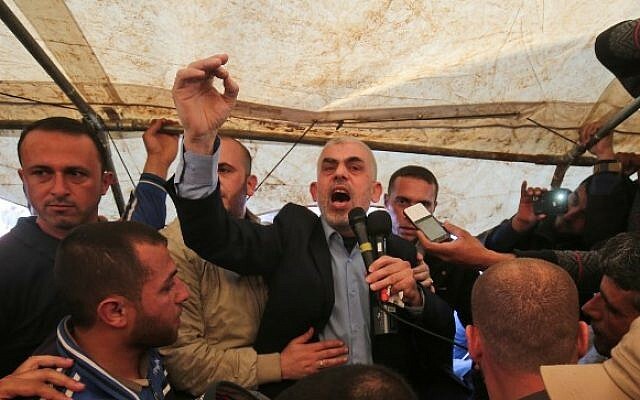 Sinwar said his terror group was “following in the path of martyr Yasser Arafat in resisting the enemy” and that the “conspiracy of besieging the Gaza Strip, with the hope that its residents would revolt against Hamas, has failed. “They thought that by putting pressure on the Gaza Strip, the masses would revolt against the Palestinian resistance,” he said. The Gaza Strip, he continued, will not starve and will not give up its principles. “If Gaza explodes, it will explode in the face of the occupation,” he added, referring to Israel. “We will not make any concessions even if the whole world conspires against us,” Zahar said. Gaza leaders have planned a series of marches culminating in a planned million-strong march in mid-May, to coincide with Israel’s 70th Independence Day, the opening of the US Embassy in Jerusalem and Nakba Day — when the Palestinians mark what they call the “catastrophe” that befell them with Israel’s creation. On Friday around 20,000 people took part in the demonstrations. 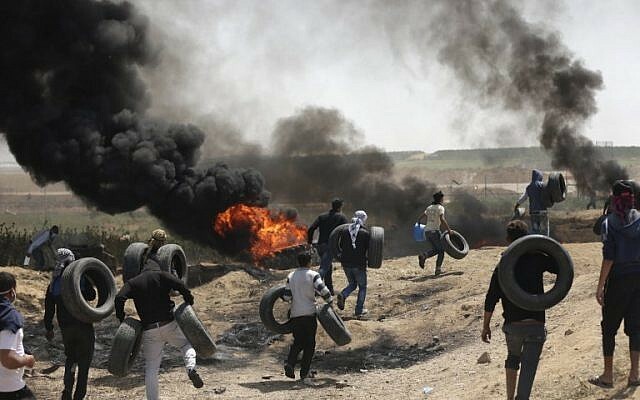 Palestinians were burning tires, sending thick plumes of black smoke into the air, and others threw Molotov cocktails and stones at Israeli soldiers over the border fence, who responded with tear gas and live fire, witnesses said. The Hamas-run Gaza health ministry said on Friday afternoon that three men were killed and 200 people were injured, five of them in serious condition. The figures could not be independently confirmed. “Our forces are using riot disposal means and live fire in accordance with the rules of engagement,” the army said. 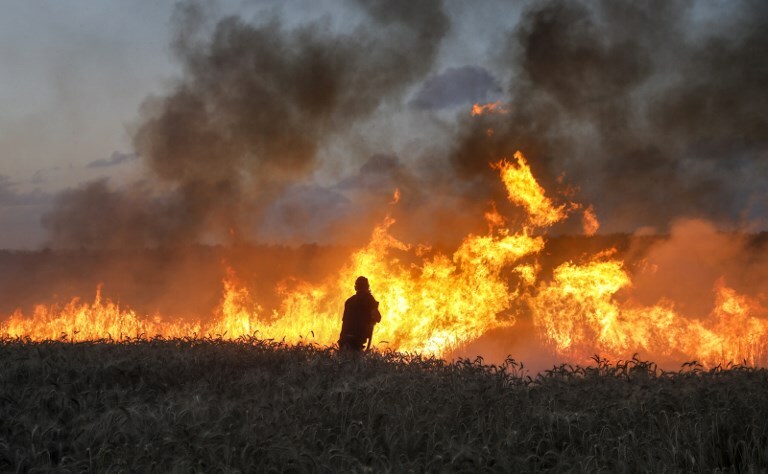 Israel and Hamas had geared up for another showdown on the border with the IDF deploying snipers and tanks ahead of the expected mass protest, and Palestinians stockpiling thousands of tires which they burned in late morning and through the afternoon. The IDF was using smoke dispersal measures, Army Radio said. 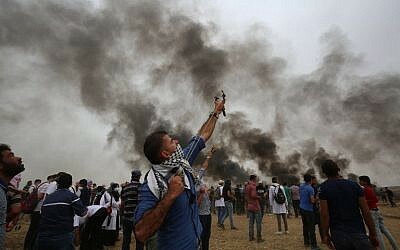 Last Friday, over 30,000 Gaza residents participated in mass demonstrations, many gathering in five tent encampments that had been set up from north to south along the narrow coastal strip’s border with Israel, each at a distance of about several hundred meters from the fence. Smaller groups, mostly young men, rushed forward, throwing stones, hurling firebombs or burning tires and drawing Israeli fire. Two were killed after opening fire on Israeli troops, Israel said, while others tried to breach or bomb the border fence. In all, 23 Palestinians were killed in Gaza over the past week, most of them last Friday, according to Gaza health officials. This includes a 30-year-old and an 18-year-old who died on Friday of injuries sustained last week, the officials said. Israel has no official death toll figures. IDF Spokesman Brig. Gen. Ronen Manelis said that all those killed last Friday were engaged in violence. He said the army had faced “a violent, terrorist demonstration at six points” along the fence, and that Israeli soldiers had used “pinpoint fire” wherever there were attempts to breach or damage the security fence. 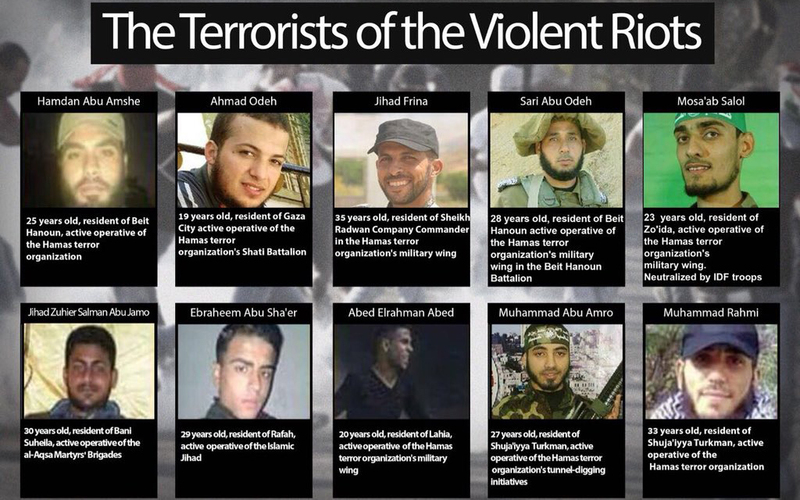 The IDF named and detailed 10 of the dead as members of terror groups including Hamas. 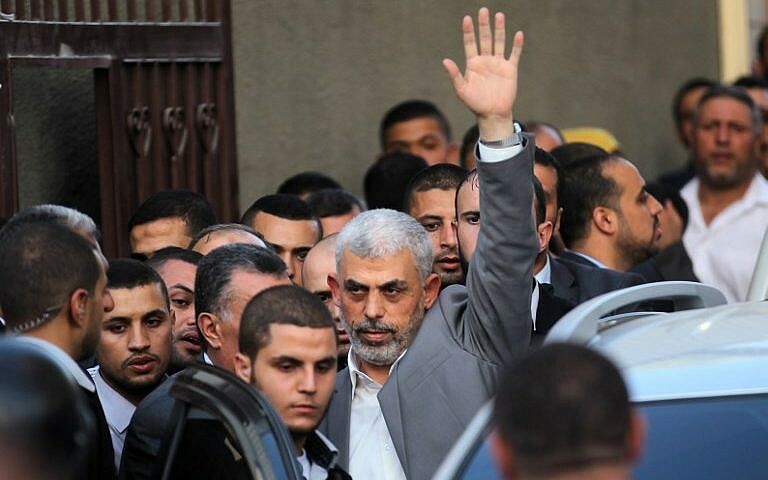 (Hamas had earlier acknowledged five of them were its members.) Islamic Jihad later claimed an 11th. Hamas has also been incessantly digging attack tunnels under the border — another terror avenue that Israel appears to have gradually been closing off with new technology and underground barriers. Just in case anybody forgot, Hamas has cynically and relentlessly exploited Gazans — a large proportion of whom have supported it in elections — by storing its rockets near or even inside mosques and schools, firing rockets from residential areas, and digging tunnels from beneath homes and civilian institutions. It has subverted all materials that can be utilized for the manufacture of weaponry, necessitating a stringent Israeli security blockade whose main victims are ordinary Gazans. Organizing and encouraging mass demonstrations at the border in the so-called “March of Return” to face off against Israeli troops, while sanctimoniously and disingenuously branding the campaign non-violent, is merely the latest iteration of Hamas’s cynical use of Gazans as the human shields for its aggression. Just in case anybody forgot, demanding a “right of return” to Israel for tens of thousands of Palestinian refugees and their millions of descendants is nothing less than a call for the destruction of Israel by demographic means. No Israeli government could accept this demand, since it would spell the end of Israel as a Jewish-majority state. Israel’s position is that Palestinian refugees and their descendants would become citizens of a Palestinian state at the culmination of the peace process, just as Jews who fled or were forced out of Middle Eastern countries by hostile governments became citizens of Israel. 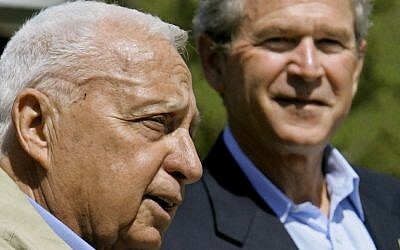 Just in case anybody forgot, the late prime minister Ariel Sharon oversaw the wrenching withdrawal from Gaza out of a declared desire to set Israel’s permanent borders, and did so unilaterally because he concluded that he could not reach a negotiated agreement with the Palestinian leadership. Had Gaza remained calm, and Sharon remained healthy, it is likely he would have ordered a pullout from much of the West Bank as well — paving the path to Palestinian statehood. The rise of Hamas to power in Gaza, three rounds of bitter conflict, and an awareness that Israel would be isolated and unable to function if Hamas were to take over in the West Bank — with every location nationwide, notably including the airport, within range of rudimentary rockets — have buried unilateralism and rendered Israelis consensually terrified at the prospect of relinquishing adjacent territory. Thus Hamas, which purports to serve the Palestinian interest, doomed the prospect of Palestinian independence for the foreseeable future. 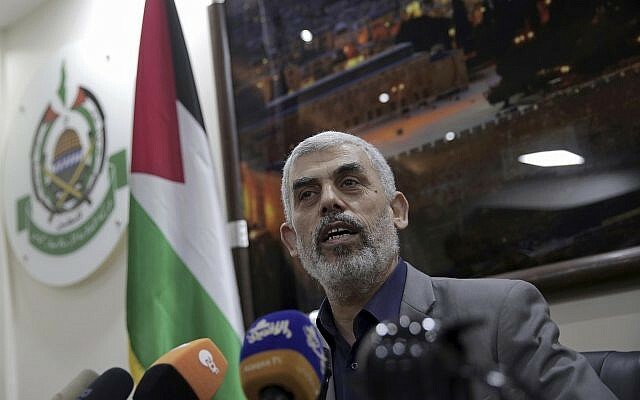 Hamas’s leader in the Gaza Strip, Yahya Sinwar, said that a senior Iranian military commander pledged all of the Islamic Republic’s military resources to help the Gaza-based terror group fight Israel over Jerusalem. 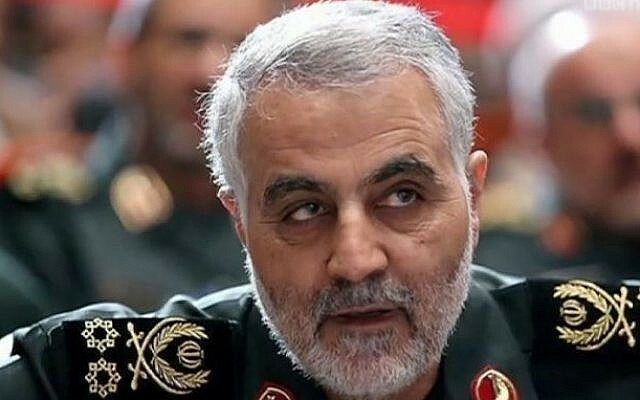 The statements by Sinwar regarding Soleimani were broadcast Monday by the pro-Iranian Lebanese news outlet al-Mayadeen, and seemed to be from a speech he gave on Thursday in Gaza to young men and social media activists. Sinwar, who said he met with the Iranian military commander in Tehran in 2012, added that Soleimani was in touch with the leadership of the military branches of both Hamas and Palestinian Islamic Jihad. In a move that delighted much of Israel’s leadership but ignited protests across the Muslim world, US President Donald Trump announced on December 6 that the US recognized Jerusalem as the capital of Israel and planned to move its embassy there from Tel Aviv. Trump stressed that he was not specifying the boundaries of Israeli sovereignty in the city, and called for no change in the status quo at the city’s holy sites. Hamas, which seeks the destruction of Israel, has fought three wars with the Jewish state since seizing power from Fatah in the Gaza Strip in 2007. The terror group has been urging a new intifada, or uprising, since Trump’s declaration, and has encouraged thousands of Gazans to confront Israeli troops at the Gaza border fence, where there have been several fatalities in clashes in recent weeks. In recent months, Hamas has publicly flaunted its burgeoning ties with Iran, and the Islamic Republic has in turn sworn to increase its military backing for the Gaza-based terror group. Sinwar has said that Iran has become the key military sponsor for the Gaza-based terror group, though he has not explained in what capacity Tehran provides support. In November, a high-profile Hamas delegation visited Iran in order to attend the funeral service for Soleimani’s father. The delegation included deputy political chief Saleh al-Arouri and a second official, Ezzat al-Rishq. On November 1, against all expectations, Hamas officials dismantled the checkpoints the organization maintained inside the Israeli-controlled crossings on the Israeli-Gazan border. It was a dramatic step. No longer would Palestinians leaving Gaza for Israel or the West Bank face questioning by Hamas intelligence officials about their business. No longer would Palestinians entering Gaza face the exorbitant import taxes and other fees imposed by Hamas. That bears repeating. In taking this step, Hamas, a group choked on almost every side by enemies foreign and domestic, willingly surrendered a lucrative source of income that fed many millions of shekels each year into its coffers. More startling still: it was a step beyond what Hamas was strictly required to do at this stage under the reconciliation agreement signed with the Fatah-led Palestinian Authority in Cairo last month that handed some control over Gaza to the PA. It is not enough to simply say these actions are part of “reconciliation.” Hamas’s commitment to “national reconciliation” has never extended this far in the past. What changed? What could possibly drive Hamas to surrender part of its rule over Gaza and renounce vital sources of influence and money? 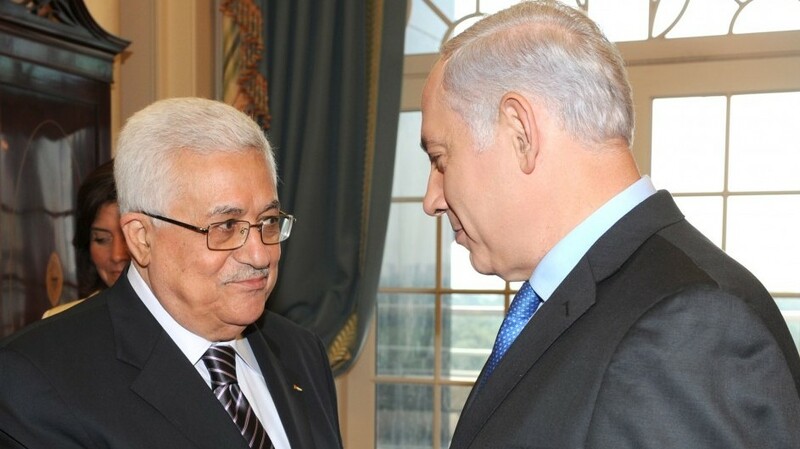 At first glance, it is Fatah, not Hamas, that appears the clear winner from the agreement. In the reconciliation deal, Fatah regained a foothold in Gaza for the first time since its forces were summarily routed from the Strip in 2007. The advantages for Fatah are many. Its chief, PA President Mahmoud Abbas, now has an answer to the complaint occasionally heard from Israeli officials that he cannot negotiate a peace agreement because he neither controls nor represents half of the Palestinian body politic. Similarly, his standing on the world stage is boosted by the sheer fact of movement. There is a crack in the status quo. If Fatah and Hamas can reconcile, some diplomats have quietly suggested, perhaps wider gulfs, such as those separating Israelis and Palestinians, can also be bridged. The ability to show progress also has financial implications. Incorporating Hamas into a new PA government would probably cost the PA dearly, as some countries and international institutions would find it difficult to fund Palestinian agencies linked to Hamas or its officials. On the other hand, if Fatah can incorporate Hamas sufficiently for “reconciliation” to be realized, while maintaining a firewall between Hamas and aid-receiving institutions, the takeover of Gaza could yet turn out to be a financial boon. 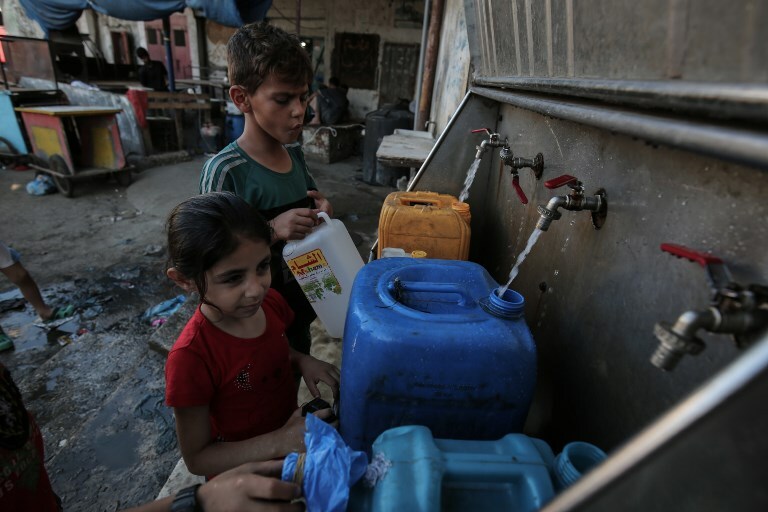 International assistance to Gaza all but dried up under Hamas. If it picks up again under PA auspices, there’s a lot of money, institution-building and political capital to be gained for Fatah. And what has Hamas gained for all that? The answer, ironically, is that the very things it lost are its most significant gain. 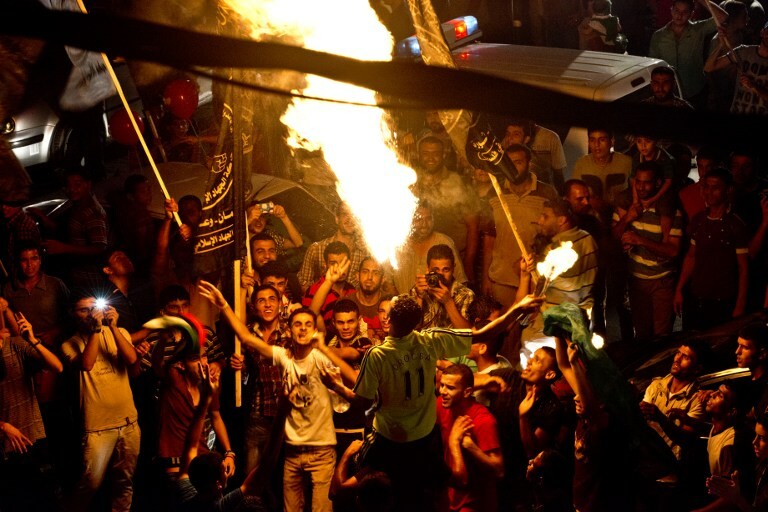 When it seized Gaza from Fatah in 2007, Hamas declared that the takeover validated its vision of an Islamic Palestine, that its rise against all odds, against the express wishes of the PA, Israel and much of the international community, proved that these opponents, for all their immense power, could be pushed back, and that pious Muslims could find themselves on the ascendant in their wake. Hamas’s troubles may have begun when it made the mistake of believing its own propaganda. In the name of its pious devotion to the cause, it drove Gaza from one ideological clash to another, dragging its long-suffering population not only into repeated rounds of war with Israel, but even, inexplicably to outsiders, into the bloodstained mess of the civil war between the Egyptian army and the Muslim Brotherhood, Hamas’s one-time patrons and ideological forebears. Facing an Israeli blockade from the start of Hamas’s rule in 2007, as of 2014 Gazans found themselves under a ruthlessly tightening Egyptian one as well — the Egyptian army’s response to Hamas’s meddling. 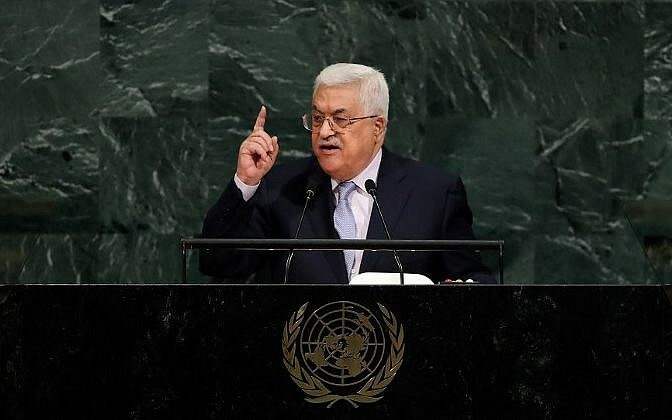 And beginning in 2017, Abbas’s PA began imposing its own financial stranglehold, denying the Hamas-led government in Gaza funds from the PA for the provision of basic services such as electricity. Hamas could blame and bluster, but it was becoming increasingly difficult for it to argue it was leading Gaza to a better place. 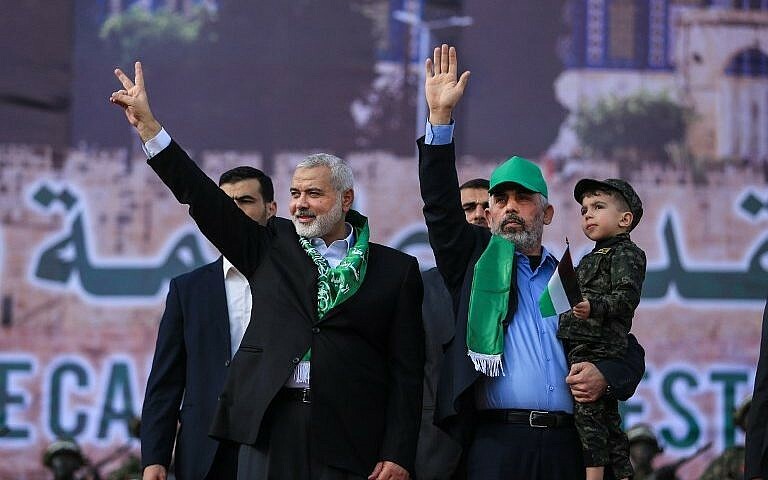 Hamas’s political leadership has spent the past 10 years attempting to prove that the movement was more than a narrowly conceived paramilitary organization. By 2017, its military wing, which took control of the organization with the rise of Yahya Sinwar in the last internal elections in February, had concluded that the attempt to expand Hamas’s agenda and vision beyond the narrow confines of its guerrilla war against Israel had become a trap, a distraction. It saddled the organization with the thankless monotonies and shackling responsibilities of civilian leadership. It was suddenly in charge of the economic wellbeing, health, education and safety of millions — and for what? And so both sides in the reconciliation deal believe they are gaining something important. 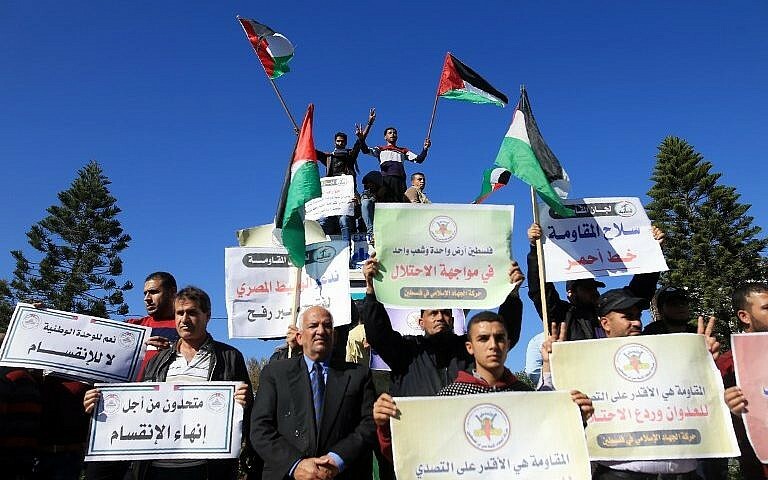 Fatah restores some of its lost privileges and powers after 10 long years of embarrassment in Gaza. Hamas sheds the distracting albatross of civilian rule that so diminished its standing and, many feel, set it up for failure. Abbas’s predecessor, former Fatah leader and Palestinian Authority founder Yasser Arafat, passed away in 2004 having watched his efforts come to ignominious failure. His PA all but crushed, and with much of the post-9/11 West, usually so sympathetic to the Palestinian cause, exasperated at the Palestinian resort to the mass-killing of Israeli civilians, Arafat’s bitter end led to a reexamination of his fundamental strategy by the Palestinian elite. By the time of Arafat’s death, the man who had destroyed him, who had humiliated him by demolishing part of his Muqata headquarters building in Ramallah with him inside, who had sent Israeli forces marching into Palestinian population centers with one purpose: to capture and dismantle the terror groups and end the wave of suicide bombings detonating in Israeli cities – that man, Ariel Sharon, had become the most popular Israeli leader in decades. 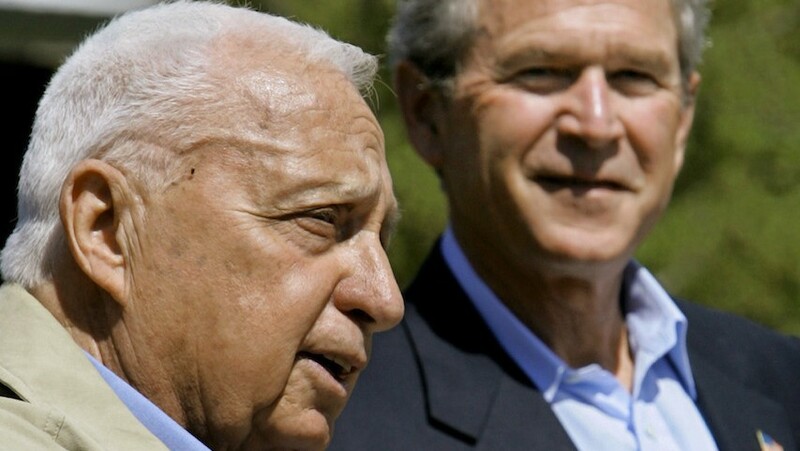 Sharon attained that popularity through a simple expedient: amid a wave of detonating pizzerias and mass-murders of Israeli children, he ended the decade-old experiment of negotiating with Palestinian leaders on the assumption that they were capable or willing to offer peace. 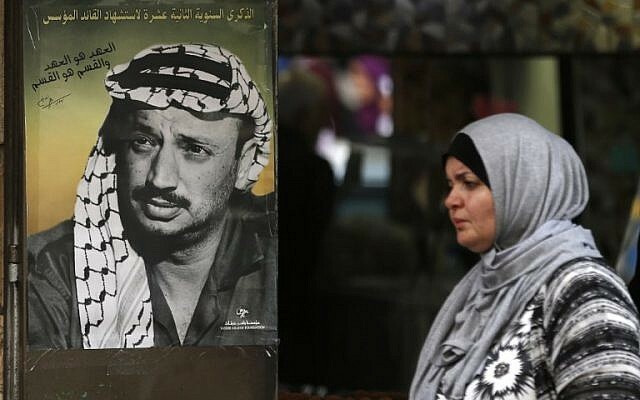 Arafat’s failure, and Sharon’s parallel success, drove home something important about the nature of that failure. It was in large part a failure to understand Israelis. Arafat spent those final years of his life apparently believing that the relentless campaign of bombings and shootings that began in 2000 would convince the Israelis that the Palestinian spirit was indomitable and ultimately irresistible, that they could never be safe in this land and so, eventually, were destined to lose the long war between the two peoples. But Israelis drew the opposite lesson from that experience: according to countless and exhaustive polls, most Israelis concluded from that violence that Palestinian politics could not resist the temptation to transform any gains at the negotiating table into a staging ground for violent jihad against Israeli civilians. Palestinian demands were thus unfulfillable, because they did not end at the Green Line. 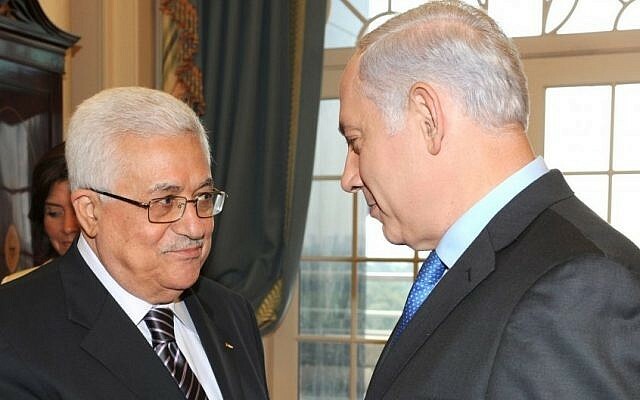 It did not matter if one found a Palestinian moderate and began negotiating with him. There would always be Arafats, Marwan Barghoutis and Yahya Sinwars in the wings preparing to turn any peace gains into further and deadlier war. Most Israelis came to believe, in other words, that Palestinian violence was not susceptible to policy or concession, that there was nothing they could afford to give to the Palestinians that would end it — and that therefore it was up to the Israelis themselves to take the necessary steps to crush the Palestinian capacity for violence. The point here is not to argue that this mainstream Israeli belief is correct. Palestinian society and politics are complex, and Palestinian attitudes have themselves changed over the years. Whether this Israeli view is objectively true is a judgment call, one usually made with insufficient evidence either way. The point here is simply to note that this is what mainstream Israelis have come to believe about the Palestinians — and that this belief carries strategic implications for the Palestinian future. The Palestinians have yet to recover from Arafat’s miscalculation about Israeli psychology, his misreading of how Israelis would respond to the terrorism of the Second Intifada. They have yet to regain the economic integration and political potential that once drove the Palestinian economy and thrust its cause upon the world stage. Yet, ironically, it was in the 13 years since Arafat’s death, under the less-than-inspiring, less-than-competent rule of his heir Mahmoud Abbas, that the Palestinians engaged in an even more fundamental miscalculation. Arafat misunderstood the Israelis. 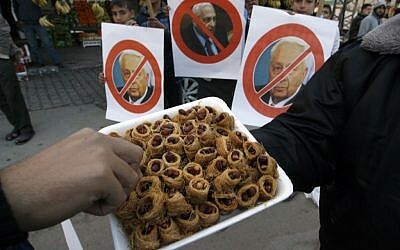 Abbas misunderstands the Palestinians. Abbas has spent most of the years since 2004, the year when Arafat’s strategy of violence might be said to have begun its long, slow, comprehensive collapse, pursuing the alternative policy he had long championed: replacing Palestinian terrorism with internationalism, replacing a type of pressure that cost Palestine its allies and any gains it had made under the Oslo process with a different sort of pressure geared toward restoring those allies and augmenting those gains. His policy, in short: to throw the Palestinian cause at the feet of the world. But Abbas’s internationalization strategy rests on two unexamined assumptions. First, that the Israeli resistance to withdrawing from the West Bank is a relatively weak sentiment, weak enough to be swayed by international opprobrium or sanctions; second, and despite all evidence to the contrary, that his fellow Palestinians would play along with the strategy. Abbas grasps that the two Palestinian strategies — violence and internationalization — counteract each other: that terrorism bolsters Israeli resistance to withdrawal, and so fatally undermines the capacity of international pressure to deliver results. Yet this understanding has only ever expressed itself at the tactical level. Abbas’s security services have spent much of the past 10 years cracking down on Palestinian terror groups in areas controlled by the PA.
Abbas’s problem, however, extends far beyond the piecemeal challenge of preventing the occasional act of violence. Among Palestinians, the violent “resistance” is no mere tactic employed by a small handful of violent extremists. It is a fundamental pillar of their narrative of national liberation, a vehicle for reclaiming the dignity lost by their history of dispossession, a crucible that for many lends the sheen of redemptive theology to their long suffering. This vision of a violent reclamation of national honor is reified in Hamas, funded by cash from Qatar, Iran and elsewhere, and sustained by the religious leadership of Palestinian society in most Palestinian towns and villages. Indeed, it often seems to be the only narrative left standing that still teaches Palestinians that they have agency in deciding their fate, or that victory against immovable Israel is even possible. After Arafat’s death, Abbas turned away from the tactic of terrorism, but never seems to have given serious thought to the strategic problem posed by the reservoirs of ideology and identity that still lionize that violence in the Palestinian body politic. In the end, Abbas lives in a kind of ideological purgatory. He cannot pursue the violent strategy he has watched fail so spectacularly, nor can he acknowledge the flaw at the heart of his diplomatic strategy — the sad fact that Israelis who could not be frightened off by waves of suicide terrorism are not likely to be dislodged by waves of international tut-tutting. Worse, the trap is permanent. Israeli recalcitrance is shored up against foreign pressure by the very expectation of more waves of terrorism. The one Palestinian strategy fatally undermines the other. And so he is left trying to sell Palestinians on the shallowest of the strategic visions available to them, and they know it. 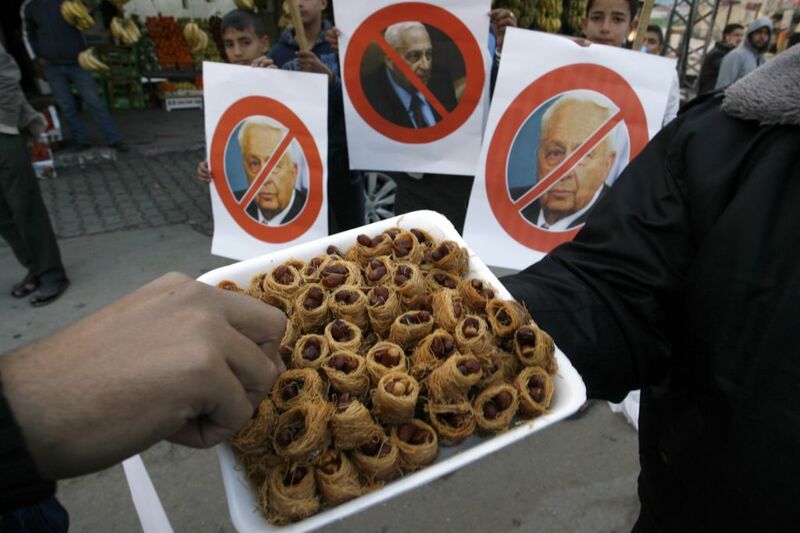 (A recent poll found that 67 percent of Palestinians want him to resign, a result that surprised no one.) Salvation will come from New York and Geneva, he insists, even as Israelis remain distinctly unimpressed by his international efforts. And the longer salvation is delayed, the more he is identified with yet another drawn-out failure of the Palestinian national movement. In the unity deal struck between Hamas and the Palestinian Authority last month, Abbas effectively swallowed into his PA, into his vehicle for restoring Palestinian dignity by — not to put too fine a point on it — ignoring the causes of Palestinian self-defeat, the very architects of that defeat, the party most responsible for the hardening of Israeli politics against Palestinian aspirations. And, as might be expected, he has done so without any capacity to control what Hamas does or says in Palestine’s name. Hamas, after all, seems eager to surrender every instrument of sovereignty it possesses in Gaza – except the one that matters: its armed wing will remain intact, and under its control. This was not Hamas’s “red line,” as some commentators suggested, implying that Hamas was being magnanimous with its other concessions. It was the original point and purpose of the entire exercise of reconciliation. Hamas could not give up its military wing because it was in the process of becoming its military wing, shorn of the extranea of civil politics. It is no accident that in the delicate days leading up to the November 1 transfer of Gaza’s border crossings to the PA, Hamas leaders took painstaking care to assure their Fatah counterparts that, more than anything else, they should not fear the continued existence of a separate Hamas military. 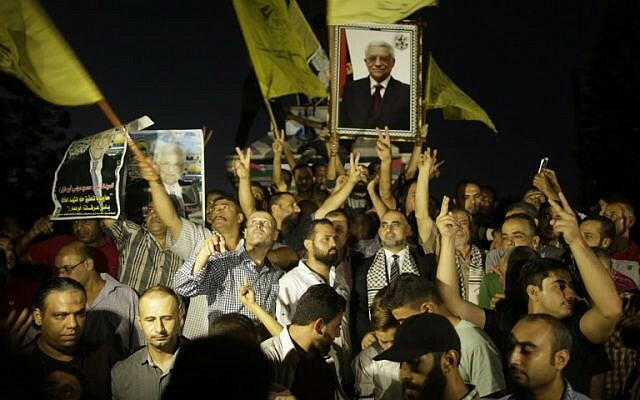 Fatah leaders are not stupid; they understand that their retaking of Gaza is coming at the cost of liberating Hamas from its civilian responsibilities and freeing it to better lead the military side of the Palestinian agenda. They are worried. Some analysts have suggested that Hamas will still be able to play “spoiler” to any peace initiative. This is true, of course, but it was also true before the reconciliation. 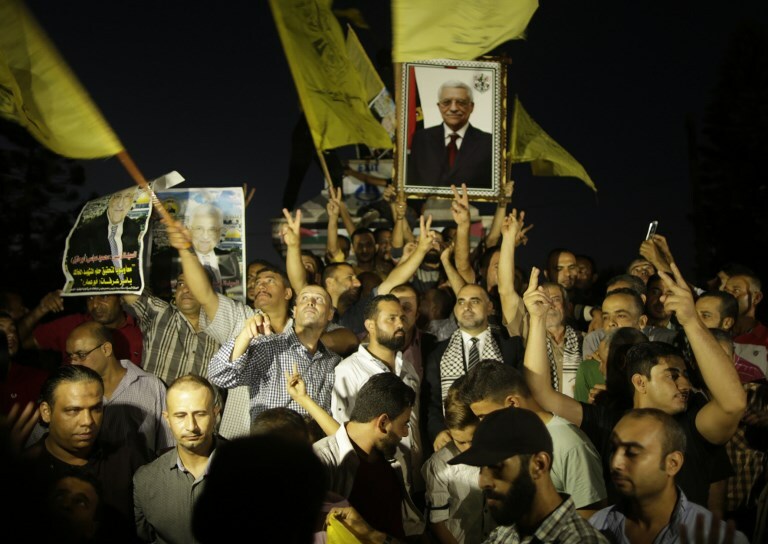 What worries Fatah is not Hamas’s ability to spoil peace talks. Hamas has won something more important in Palestinian terms. By granting it a reprieve from its civilian rule in Gaza, and thus unshackling it from responsibility for the consequences of its narrative, Abbas has ensured that no matter what he says or does, it is Hamas and its ilk, the proponents of sacred, violent resistance, who will tell his story. They are now the emancipated bearers of the only Palestinian narrative actively being told in Palestine, a narrative whose basic tenets Abbas has not even attempted to challenge. Abbas’s entire vision and legacy now lie at Hamas’s feet. He can never crush them enough, nor suppress their narrative about Palestinian resistance sufficiently — in part because he believes much of it himself — to win the war of ideas. He has now backed himself into the unenviable corner of trying to push ahead with his internationalization strategy while an unfettered Hamas operates without the slightest check to undermine him. And he did it to himself, all for the paltry benefit of restoring the lost dignity of Fatah’s 2007 collapse in Gaza. Hamas’s leaders are surely breathing easier now that the responsibility for Gaza’s desolation is being lifted from their shoulders. But for them, too, the reconciliation comes at a vast price. Hamas has effectively acknowledged that it is unable to steer the territory under its control to freedom and prosperity. The hard-bitten tacticians of its military wing may scoff at such considerations, but that doesn’t make them unimportant. In its abdication of civil leadership, Hamas reveals its own underlying strategic weakness, a weakness it shares with its new ally Hezbollah. Both groups are powerful enough to drag their nations into war, but not ideologically flexible or curious enough to be the bearers of better days. 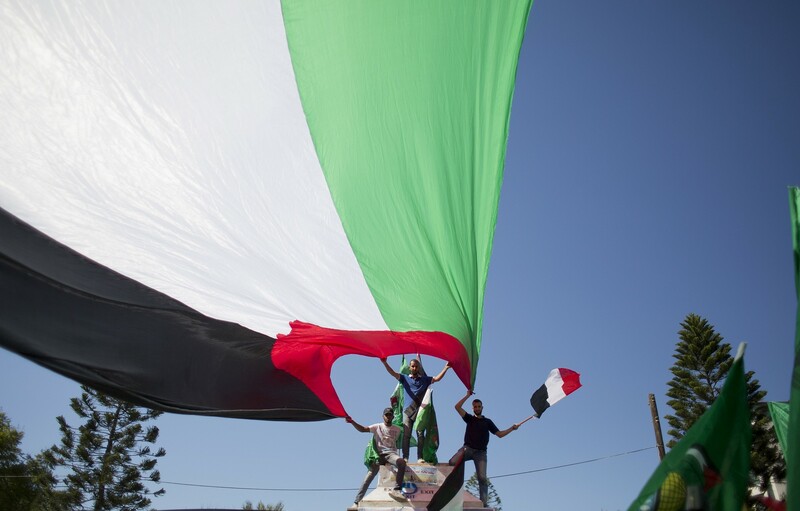 Hamas has acknowledged that it cannot build a Palestine where Israel has withdrawn. It no longer even wants to.